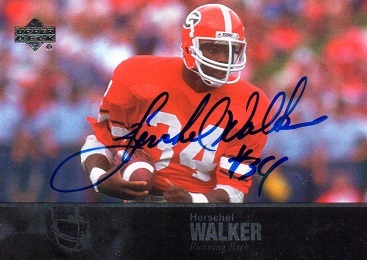 Just added to the Hoard, another sweet autographed card of Herschel. This is a short printed, 2011 Upper Deck College Football Legends Autographs #65. The base card of this set is already in my collection. 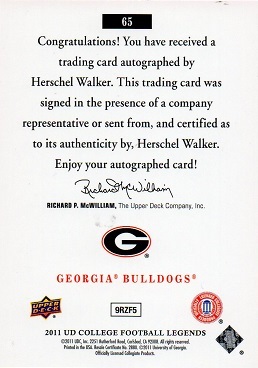 This card is also a bit unusual as the front is horizontal, but the back is vertical. Some card sets are made this way, but not a lot.